I still have a thing for indigo. These lovely tea towels by Jennifer Lesley of Atlanta are my new favorites. These hand dyed towels come in four different shibori designs.... Love. 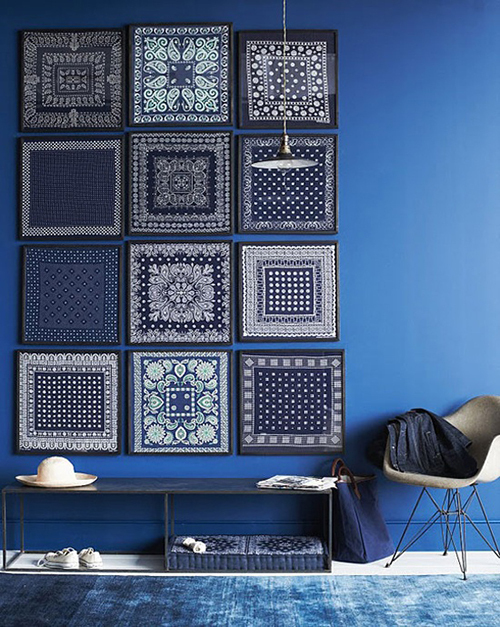 The nice thing is there is no shortage of indigo home decor items or inspiration at our disposal. Search Google images for 'indigo pillows' or 'indigo bedroom' and there's a ton of great links. Plus, you can peruse so many fab Pinterest collections, like this one. 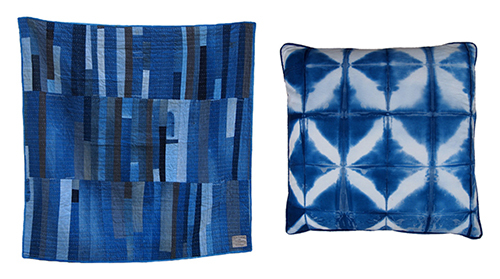 When I get a little extra time, I'm definitely going to try this DIY for Shibori Indigo Pillows. Here's a few of the many home decor indigo items that caught my eye - Shibori wallpaper by Scion of UK; mudcloth indigo pillow; Indigo plate by Marimekko; Fluidity wall covering by Porter Teleo; Indigo sheets via Jayson Home; short striped cup by BTW Ceramics for Steven Alan.